When you become a member of The Colonial Theatre you are helping to bring world-class music, independent film and high quality family entertainment to the White Mountains region. Show your support today! Your house guests are welcome to all movies and live events at member’s ticket prices when they accompany you to the Theatre. 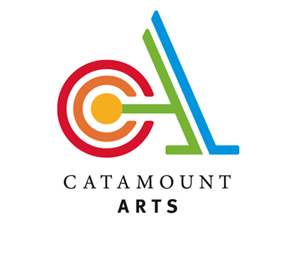 Your Colonial membership will be honored with ticket discounts at Catamount Arts in St. Johnsbury, VT, and St. Kieran Community Center for the Arts, Berlin, NH, Red River Theatres, Concord, NH, The Loading Dock, Littleton, and member benefits at The Gem Theater, Bethel, ME. THREE EASY WAYS TO BECOME A MEMBER TODAY! Instead of making a single gift once a year, Sustaining Members make a tax-deductible automatic monthly contribution on a credit card — just like you’d pay for other subscription services. Your monthly contribution can be in the amount you choose. (Minimum of $5 monthly). Your Sustaining monthly support will continue automatically unless you choose to change or cancel it. Offer unique film programming of independent and world cinema, film series, award-winning live performances, and engaging children’s events. Thank you for supporting The Colonial Theatre! Help support The Colonial Theatre! The Colonial is able to bring outstanding world-class music, independent films, film series, and engaging family entertainment to the White Mountains because of support from people like you. We hope you will consider a donation to help support all the The Colonial does in your community. 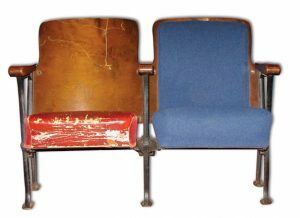 For every donation of $500 or more a plaque acknowledging your donation will be put on a newly renovated theatre seat. Every donation of $250 or more or a sustaining $20 monthly donation includes an individual or household membership. *The Colonial Theatre does business as the Friends of The Colonial under the non-profit auspices of the Bethlehem Redevelopment Association. An Event Sponsorship is a great way to support The Colonial and promote your business or organization. Our community partners make it possible to bring Grammy Award-winning musicians and special film events to the White Mountains. In 2018 from May through October, The Colonial hosted nearly 10,000 guests at nightly films and over 60 events including Main Stage events with full houses and sold-out shows. Join our enthusiastic base of arts lovers for a season chock-full of memorable moments! Different levels of support are available from a full sponsorship to co-sponsoring an individual event. Sponsors are acknowledged live from stage, in print, on the web, and through email and physical mail delivered directly to our patrons. The Colonial’s events are listed and advertised regularly in local and statewide news outlets, including the NHPR, VisitNH.gov, The Littleton Courier, The Caledonian Record, The Littleton Record as well as online through Facebook, Twitter, Instagram, NH365.org and other online resources. For more information please call Stephen Dignazio, Executive Director at 603-869-5603 during business hours, or email gotoshow@bethlehemcolonial.org. Your advertising shows your support and associates your business with great films, world class music and quality family entertainment in the White Mountain region. Last year nearly 10,000 residents, second home owners and visitors of all ages visited The Colonial. The LIVE! at The Colonial programs (print run: 2000) are distributed at the theatre and through our advertisers and public places across the region including White Mountain Attractions in Lincoln. The ad space is divided into business card, half page and full page. We are happy to provide two complimentary tickets to Colonial concerts with all full page ads for you, your employees, or customers. Want a higher profile for your business? Colonial Single Event Sponsorships and Co-Sponsorships are available and include a host of additional promotional benefits. Please call the business office at 603-869-5603 for more information. The Colonial is entering its 17th season of presenting films, concerts, children’s programming and community events. Discover It! The Huntington Legacy Society was established in 2009, in memory of Steve Huntington, an enthusiastic supporter of The Colonial Theatre and respected civic leader. Steve was the first person to direct a legacy gift to the Theatre. The Huntington Legacy Society ensures the long-term financial sustainability for the Theatre and recognizes individuals who have included The Colonial in their estates. If you are considering such a gift, or would like more information, please call Stephen Dignazio, Executive Director, at 603-869-5603 or email gotoshow@bethlehemcolonial.org. All inquiries are confidential. *The Friends of the Colonial is a non-profit 501(c)3 organization. The Colonial thanks the following funders for their generous support. Be part of The Colonial! There are many opportunities to help including movie projection, staffing events, building maintenance, data entry, fundraising and professional services. Please email us at gotoshow@bethlehemcolonial.org with your name, address, email and a daytime phone, and we will be in touch. The Colonial is a community focused non-profit cultural center, and your help makes the difference! The Colonial Theatre Gift Certificates make great gifts for any occasion! Memberships make great gifts too! When you give a Colonial Membership you give the best of independent and foreign films, world-class live music, ticket discounts, no online ticketing fees and loads of other great membership benefits – and you help support The Colonial at the same time. Gift Memberships are available as an Individual or Household Membership. Just fill out this form and pop it in the mail and we will send your gift recipient a greeting card with their membership card/s and benefits. THE COLONIAL THEATRE is dedicated to presenting a diverse program of live world-class music, independent, world and event cinema, children’s entertainment, community events and supporting other area non-profits that enhance the quality of North Country life. The Theatre is continually upgrading and improving this 100+ year-old facility. Our continued success would be impossible without the broad support of individuals and businesses across the spectrum. Your membership enables us to expand our programming like our Live! at The Colonial performance series featuring some of the finest established and emerging folk, blues, classical and world music artists from around the globe, our weekly Summer Children’s Series, and other special events on our stage, screen and patio… and we couldn’t do it without your support. Join The Colonial now and Discover It!